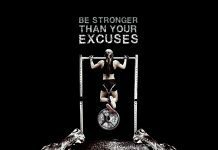 Home Workout Quotes Join Team of The Most Successful Athletes and Coaches. Workout Quotes. When you look at the history of the sport, you are most pleased with the real emotions of athletes when they win or lose. Even the greatest achievements begin with their small steps. You can start your sport from a simple walk – even a daily walk around the house, a lift to the stairs, a trip to work or a walk in the shop is a very good start. After that, the world fills up with their workout quotes and success recipes. wareness and consistency are key to any long-term change. Understanding why you are doing something and what you are trying to achieve helps to maintain motivation and contributes to the achievement of results, and when consistency is maintained, even the slightest positive change produces results. Understanding why you are doing something and what you are trying to achieve helps to maintain motivation and contributes to the achievement of results, and when consistency is maintained, even the slightest positive change produces results. Nowadays, people start a physical activity from the end: they first buy a nice, fashionable outfit, and only then start wondering what sport will do. Do the opposite! Sports shoes or other outfits must be tailored to your activity, otherwise you will get stuck, you will get blistered and unfortunately, you will lose the motivation to continue sports. Athletes are people who are not only strong physically but also strong psychologically and spiritually. The inner faith of the basketball, football, Soccer, Baseball stars have brought more than one victory, so all the people could learn the inner strength by reading their discipline, passion, determination and workout quotes. No pain. No gain. Shut up and train. Piplum. 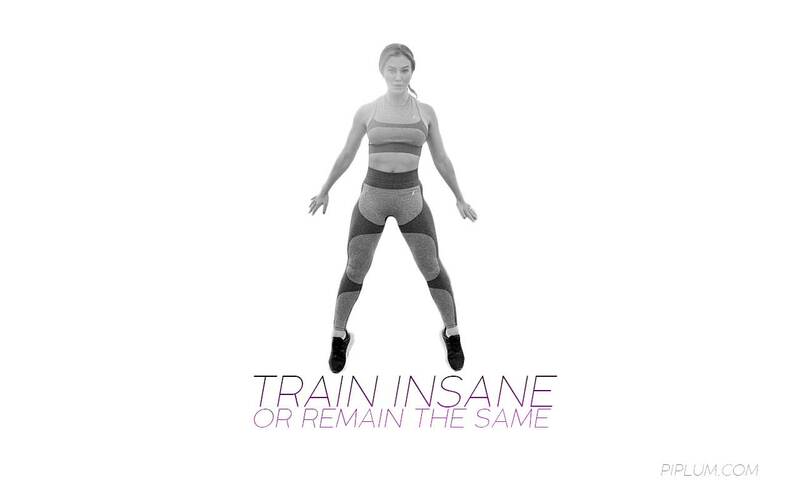 We’re hoping that workout quotes will wake up a beast in you and you will make things right. There are days when the hands just go off and don’t want to do anything. In order to return to the desire to move forward, to pursue something, sometimes a few spoken words are enough. Stumbling? Losing hope and motivation? Maybe you find what you need at the moment. Here are some of the best athletes and coaches who are constantly cited again and again. 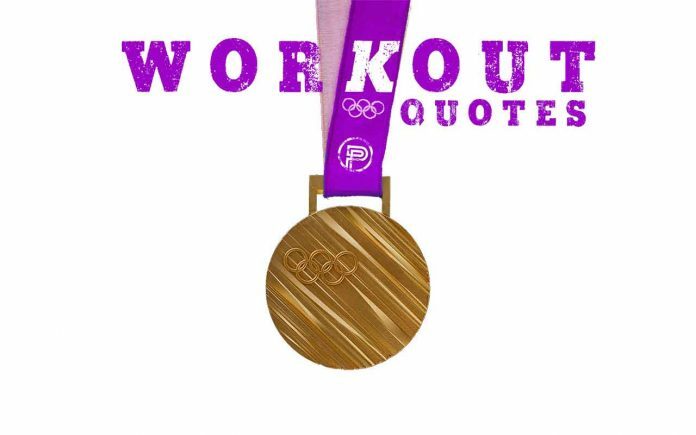 Simply the best workout quotes from sports legends. It is better for one person to show how to do sports than fifty stories about it (Extraordinary workout quote by Knute Rockne is an American football player). Stubbornness can change the mistake to extraordinary achievement (Spectacular workout quote by Matt Biondi – swimmer). Football does not create a character, it reveals character (Astounding workout quote by Marv Levy – American football coach). The athlete cannot run out of money with full pockets. He must run with hope in his heart and dreams in mind (Impressive workout quote by Emil Zatopek – runner). Age is not a barrier. This is self-restraint that you put into your head (Staggering workout quote by Jackie Joyner – athlete). Set high goals, but never stop when you reach them (Stupefying workout quote by Bo Jackson is an American football player). Make sure your biggest enemy does not live in your head (Majestic workout quote by Laird Hamilton – Surfer). If you fail to prepare, you are ready to lose (Astonishing workout quote by Mark Spitz – swimmer). What makes you special is not only what you have to achieve, but also what you think you can lose (Mind-blowing workout quote by Andre Agassi – tennis player). The trophies accumulate dust, and the memories continue forever (Thrilling workout quote by Mary Lou Retton – gymnastics idol of America). The harder the win, the greater the joy of winning (Remarkable workout quote by Pele – soccer player). One person is an important part of the team, but one person will never be a team (Heart-stirring workout quote by Kareem Abdul-Jabbar – a basketball player). Without discipline, success is not possible (Uplifting workout quote by Lou Holtz is an American football coach). You’re just moving forward. Everyone gets more if they keep this idea (Phenomenal workout quote by Ted Williams is a baseball player). What to do with the mistake: recognize it, take it, learn from it, forget it (Inspiring workout quote by Dean Smith – basketball coach). I hated every minute of the workout, but I said to myself: “Don’t stop. Lose now and live like a champion for life ”(Mind-blowing workout quote by Muhammad Ali – boxer). If you don’t go all the way, why go to it at all? (Overwhelming workout quote by Joe Namath is an American football player). The champion is the one who comes when he can’t (Miraculous workout quote by Jack Dempsey – boxer). I’ve missed over 9,000 shots in my career. I lost more than 300 matches. 26 times I was confident that I would succeed in the final second of decisive throws. I’ve failed again and again. That’s why I succeed (Heart-stirring workout quote by Michael Jordan is a basketball player). The dark side of Workout Quotes and all quotes in general. 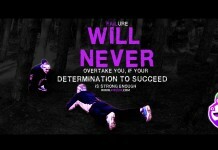 After workout quotes and uplift comes a lack of motivation. Sometimes the goals lack motivation and are not able to move forward. 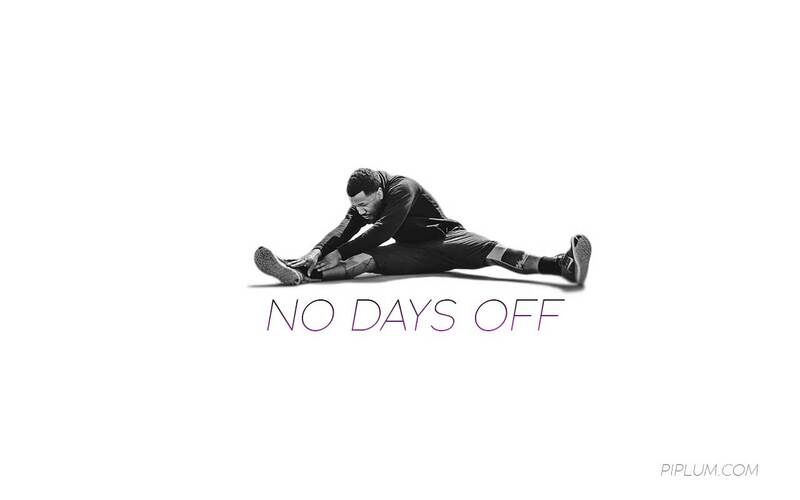 In such cases, you need to take a break, and sometimes just read one or another workout quote or thought that opens your eyes and gives you the extra motivation that keeps you going. If you have a dream, chase it no matter what it takes. Workout quote by James Harden. No one should expect more from you than you. There are several thoughts that might motivate you to live healthier and more active. 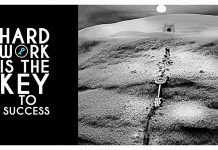 Often, motivation is refreshed with the following tips: read this book or article, use this methodology, set a goal, visualize it, persevere, etc. How can such tips (and especially their use) be dangerous? Books, quotes, seminars, and more. external motivators can only pudh us. If your enthusiasm and inner motivation are high enough, these ways of starting can be a good start-up and refreshment (it is always natural to be on the wave). However, if an inspiring article, seminar or music becomes a condition for your engagement, if you become an inspiration, it is not good for several reasons. First, we deceive ourselves. When we read something or go somewhere, we calm our conscience. And what we repeat is firmly established – the sleep of the conscience is probably one of our best-developed skills. We live in the illusion that we do something that we try and the problem, which is not so painful, no longer requires a solution. Secondly, we weaken the pain and discomfort that we are experiencing, even though it would lead us forward. Naturally and Strongly. We don’t solve the problem of happiness until it gets big enough. Perhaps the worst thing is that we don’t solve the problem of happiness or success until it gets big enough. But do we drink medicines only when we are seriously ill? Maybe more attention should be paid to mental health? Have you gained some useful knowledge and you are about to start applying it on a “welcome” occasion? Are you waiting for inspiration, a wave of enormous motivation, and a destructive sense of inner strength? We look forward to getting ready enough. The expectation, whatever it is, is sweet and calm at the moment, and it makes you laugh. What kind of change comes from nowhere? We must finally realize that there is no miraculous time, and by putting an end to the problems we are only wasting the time that we can be happy. Books, seminars or the development of success in thought cannot strengthen us enough. With the exception of those who have enough self-confidence and a good seminar (or book) to push them forward. Rare of us such. Only actions, tests and mistakes can inspire and prepare us. Will you learn to ride a bike just by looking at a brother or just imagining that you are driving yourself? So, getting the knowledge, thinking, planning and developing your idea of success is not enough in your mind. Do you recapture that you know it? However, are you really not trying to get the best out of the inside and maturing yourself to a better moment? What would not be bad if the action did not go too far or disregard other priorities? We are starting to be more scared, thinking even more, and continue to deceive ourselves to try and change the situation. Not only the mind but the defense mechanisms come into play, which might not even turn on. Earlier failures, pain begins to dictate your conditions – sending us negative thoughts. Being very intelligent, we successfully streamline our actions, choices and avoid the challenge. The great majority of us are using other ways to feel better. These methods even more effectively disguise the inner disharmony and help you effectively excuse yourself. For example, to get involved in work, activities and be engaged in everything, not self-reinforcement or improvement. If so, you probably have already done a lot of work. Some of them made you happy? Usually, we are not inclined to admit to ourselves that something is wrong with us to have problems. And especially think about it, go deeper, look for a solution. When was the last time you talked to friends about feeling happy or successful? It is much easier and safer to keep this property for yourself, sit down on the TV or have fun with your friends, forget it. Did you notice how short it works? In this way, we accumulate frustration, self-destruction, and helplessness. Naturally, then we lack motivation, energy, self-confidence, and most importantly, happiness. Without doing anything, self-confidence is completely eliminated and then it is even more difficult to take action. Another way to protect yourself from divorce with your beloved sofa and TV is to deny the need and necessity of perfection, self-knowledge, self-education. Of course, for improvement, self-knowledge is not for everyone. Especially that the ways are different and some of them are really not worth your time. But probably not all?